(3-part blog series): Part 1, Part 2, and Part 3 (Thanks, Lynn, for Part 3 pointer). The survey is open to any Open University community member, whether staff, consultant, or student. The survey will run between November 22nd and November 29th. I’ve specifically asked in the survey about your role, because I recognise that different university community members will have different needs. The survey results, broken down by role, will be forwarded onto the senior decision-making committee. I can’t guarantee how much attention they’ll pay, but the more of us who participate, the stronger the impact our voice and preferences will have. You may feel you don’t know enough to make a choice between the two systems on offer. That’s OK, too. There’s a choice in the survey to indicate that or even that you don’t care either way. No personal details, not even your IP address, will be collected and stored with the survey. It’s completely anonymous. It’s also unofficial. I’m doing this because I think we should have some sort of say and I’m motivated to provide a mechanism, however imperfect, to provide at least an indication of our preferences as a community. Comments or questions can be directed to me on this blog entry or via @Eingang on Twitter. You’ll find the survey at the short URL of http://tr.im/OUinCloud. I hope you’ll participate. Feel free to point people at this blog entry, re-tweet the survey or blog address, or otherwise let as many of your fellow students and OU associates know about the survey. We only have a week and more participation is better, so let’s make it count! The survey: http://tr.im/OUinCloud or http://www.surveymonkey.com/s.aspx?sm=IztCuXuYgqMj_2bVFGct_2f8Qg_3d_3d if the tr.im URL isn’t working. Hallo, I would be interested to hear about the numbers of people who submitted a response to your survey. There's a separate posting, Sandy, which covers the results. It's at http://einiverse.eingang.org/2009/12/05/ou-in-the… As a quick answer, I had 533 survey respondents over the week period it ran. The survey is now closed. I'll be analysing the responses over the next several days. Stay tuned for a new post with the results. Today (Sunday) is the last day to participate in the survey. It will close automatically just past midnight (GMT). 6.) .open.ac.uk addresses: Both Google Apps for Education and Microsoft Live@edu will allow the OU to give everyone .open.ac.uk type of addresses, so you can still use your e-mail address for educational discounts. 7.) The Cloud: Your e-mail can be completely hosted in the cloud but it doesn’t have to be. Both systems will allow you to use IMAP or POP capabilities in most e-mail clients to pick up mail, similar to how e-mail likely works from your current Internet Service Provider. You can then organize your e-mail on your own computer however you like, delete it from the remote system, or leave it to be accessed via a web browser. There are no advertisements used with the Google Apps Education Edition. If you have an account for only alumni at your schools, you are required to enable advertisements. Gmail also offers web clips at the top of your inbox which show you news headlines, blog posts, RSS and Atom feeds, and relevant sponsored links. Each clip displays the source from which it was received, how long ago the clip was published, and a link to access the entire story or page containing the clip. You may want to create custom RSS feeds for your University. In other words, the university can include its own ads if it wants, but Google itself won’t be adding any (or that’s my reading of the above paragraph). Thanks, @Lynne, for the Part 3 Google vs. Microsoft pointer of http://www.emergingedtech.com/2009/10/choosing-between-microsoft%e2%80%99s-liveedu-and-google-apps-for-education I’d missed that earlier. I’ve added it to the original post and to the survey. 1) Forums: Forum functionality, if provided, will be part of the Open University’s Moodle system. I don’t know at this point what’s going to happen to the existing OUSA forums. An OUSA representative would be a better person to ask. 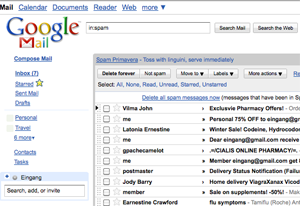 Google does have “Google Groups”, similar to the idea of Yahoo Groups. This isn’t included in the Google Apps Education Edition specifically, but I’d think any Google account created would be able to access any Google service, including YouTube, Google Groups, Picasa, etc. 2) Keep E-Mail In-House: I realize there’s no option to just keep e-mail in-house or outsource it to a UK-based mail hoster. My understanding is that, for students particularly, it will be migrating to the cloud. It’s only a question of which provider. The two choices are the shortlisted choices the committee is considering. A number of factors were likely considered in shortlisting, including issues about data privacy and transport of data beyond UK/EU borders. In other words, the decision to outsource it has already been made. Many other universities have already done this (which doesn’t make it a good idea, but it’s not unheard of). See, for example, Google’s list of edu customers and some Microsoft Live@edu case studies. 3) Give ALs In-House Address: David Wilson, in the referenced Snowball article, hasn’t discounted this possibility. I don’t have any additional information at this point. I could imagine, however, that migrating everyone to the cloud, especially if it’s “free”, is a tempting choice especially in an environment where education funding cutbacks are rife and we’re in a recession. I don’t know, however, if that’s being considered. 4) No Choice: There’s no choice/way to not answer the question. As it’s fait accomplit, especially for students, that it will be one of the two systems and the factors about acceptable systems are quite complex, I haven’t allowed no choice. That’s also why it’s phrased, “If you had to choose…” You can offer some commentary in the free-text box. I will collate those responses as well. 5) Cross-Platform: Microsoft Live@edu claims to be cross-platform and work with both Safari and Firefox. I have no personal experience with it. I do know that Microsoft HotMail (acquired from Sun Microsystems originally) is web-based and does work fine from Mac browsers. 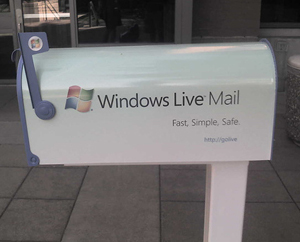 There are, I believe, also ways to use your current e-mail client to pick up e-mail via IMAP/POP from Outlook Live/HotMail. Google Mail and many other Google products are already cross-platform.